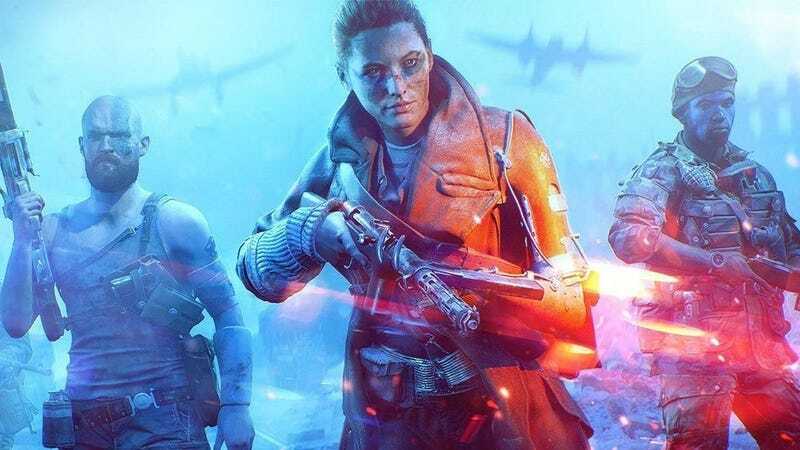 Battlefield V received microtransactions this week, almost five months after the first-person shooter was originally released. Players can now use Battlefield Currency, which can only be bought with real money, to customize the look of their characters, guns, and vehicles. Prior to the update, players could buy common, uncommon, and rare cosmetics using an in-game currency called Company Coin, earned by ranking up and completing various daily missions and special assignments. The new premium currency offers players the option to shortcut that grind by paying for it. A new tier of epic cosmetics has also been added to the game. Some of these can only be purchased with actual cash, while others can be unlocked by completing various challenges and activities in the game. According to a tweet by Battlefield V’s community manager, Jeff Braddock, all epic items will at different times be unlockable by doing stuff in the game and not just by spending money. The Jackal is one of these epic skins. It consists of three pieces of gear and costs 750 Battle Currency, or as the community lovingly calls it, 750 Boin. Boin can be purchased in packs of anywhere from 500 for $5 to 6,000 for $45, but not 750. Players save a little bit per Boin the bigger the pack but the most popular one currently is the 1,050 pack which costs $10. In other words, to buy those epic skins, people are overpaying. Rare cosmetics, like the MP28's chromed finish, can be purchased for either 400 Boin or the same 13,200 Company Coin as before. While this is cheaper than what epic skins cost in games like Fortnite and Apex Legends, where each one can cost closer to $20, it still feels like a lot for some drab WWII clothes. Some Battlefield V players on the game’s subreddit have also been making fun of the Jackal costume in particular for including not one but two gas masks and subsequent sets of goggles, as well as a third pair of goggles wrapped around the helmet. The bigger issue for some remains that players don’t have the option of buying it with the in-game currency they’ve already collected. A post explaining how Battlefield V’s economy works on EA’s website contains a chart with a line going from both Battlefield Currency and Company Coin to cosmetics. Players previously took this to mean that no cosmetics in the game would be locked solely behind a premium currency. When asked for comment, a spokesperson for EA directed Kotaku to Braddock’s tweet. Meanwhile, Star Wars: Battlefront II, whose microtransactions were temporarily removed after the game was released in November 2017 following the backlash to its loot box mechanics, allows players the option of buying even its rarest costumes with credits earned strictly through playing the game. As a result, players have an incentive to stockpile their credits for when new costumes are released. In Battlefield V, some players were doing the same, and are now wondering where to spend their existing Company Coin since it can’t buy any of the new stuff. Time savers like temporary XP boosts and new elite-tier skins will be added to the game in the future and be purchasable with Battlefield Currency, but it’s not clear how much the inventory for Company Coin goods will grow. Braddock has confirmed that when elite skins are added, unlike the new epic skins, the only way to get them will be to spend money. The game’s new microtransactions are far from being a disaster, and it’s possible EA will still refine how they work going forward. In the context of Battlefield V where players have been eagerly awaiting other content like additional maps, they’re a bit disappointing. EA had always made clear that the game would be getting a premium currency at some point, which is arguably preferable to some sort of loot box mechanic. The game’s content updates are also all free. At least for now, the new items players can purchase just don’t feel worth it.